When popular BBC TV makeover programme 'DIY SOS Big Build team' wanted to create a safe, fun and educational outdoor space for the re-opening of The Spinney Play Centre in Peterborough, they needed someone to provide and install an attractive and functional surface, so they they turned to that curse/benison (delete as applicable) of modern life, the so-called Social Media, and that Twitter in particular. The Spinney Centre was closed early this year due to the local authority's need to make a £17million cut from the budget under the government-imposed "we're-all in-this-together-but-some-are-more-in-it-than-others" austerity measures. The Centre was somewhere children could have fun in a safe and fully enclosed environment. Since the closure, however, the Little Miracles Charity, who formerly used the centre to run sessions for children with disabilities, have been busy bidding to get the centre re-opened. 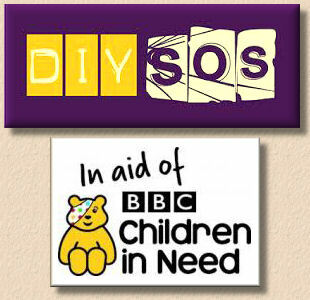 All of their hard work paid off when Children In Need and DIY SOS came to their rescue. The plan was to transform the place by creating an entirely new centre, with a garden and playground which benefitted from being designed by TV Gardener Chris Beardshaw. His design was brought to life by volunteers and various tradesmen including painters, electricians, plumbers, carpenters and roofers all working in, out and around the main building. The outdoor team installed play equipment, built wooden and stone structures, and laid resin bound pathways. It truly was a team effort. SureSet, one of the most respected names in the resin bound surfacing industry, agreed to contribute 250m² of natural Resin Bound surfacing to the project. A 6mm Barley Beach material was generously supplied by Long Rake Spar and hand installed by SureSet Permeable Paving for a precise, smooth and high quality finish. 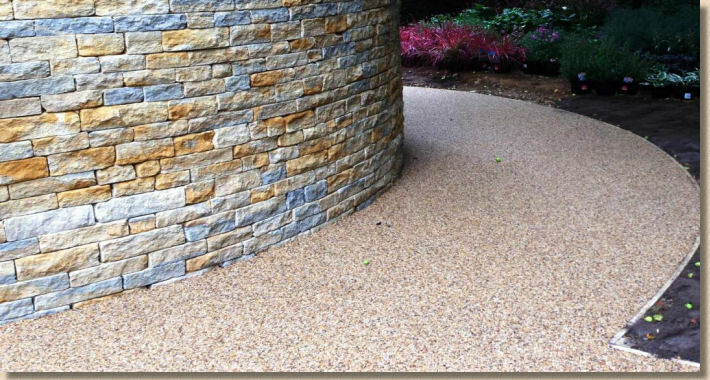 For more information about the Resin Bound material and the opportunity to receive a free colour sample being used on the 'Children In Need' project contact the sales support team on 01985 841 180 or visit www.sureset.co.uk.